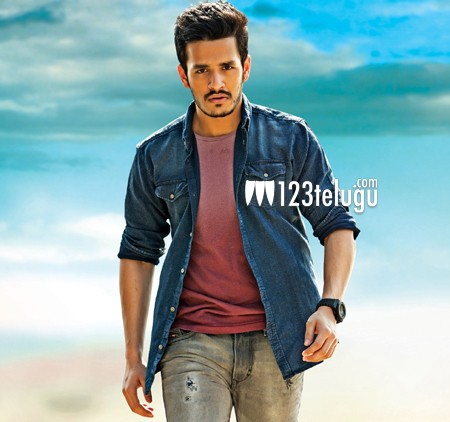 Akhil’s entry has become the talking point everywhere. Even before his debut action entertainer has completed its shoot, the pre-release business has sky rocketed. According to the latest reports, the Nizam distribution rights of the film have been sold at a whopping 13 crores to Devi Films. This is the same company which had bought the Karanataka rights of Baahubali and ended up in bumper profits of over 10 crores. Looking at the rate with which the movie is doing its pre-release business, the young hero is all set to give all the super stars a run for their money. Hero Nithin is producing this film on his own banner and is personally overseeing the shooting formalities. Sayesh Saigal is the female lead and V V Vinayak is the director.